From 3 to 31 July Prima Bio was selected as a agrobiological company by Eataly for “Porta del Sud” in Bari, with Slow Food Italy. “For us it is a great opportunity to prove the seriousness and quality of our products, we are very happy,” commented Giovanni Terrenzio and Matteo Iuso, founders of the Cooperative. A prestigious confirmation for the Cooperative, in fact, “Prima Bio” has long been distinguished in the national market thanks to the use of organic raw materials from our short production chain, sowing, cultivating and transforming in the shortest time. We were selected by Eataly among the “small Apulian excellence” thanks to the quality of our production, in order to participate in the “Porta del Sud” project in Bari, an event that give an exhibiting space to the small local producers to enhance their products. 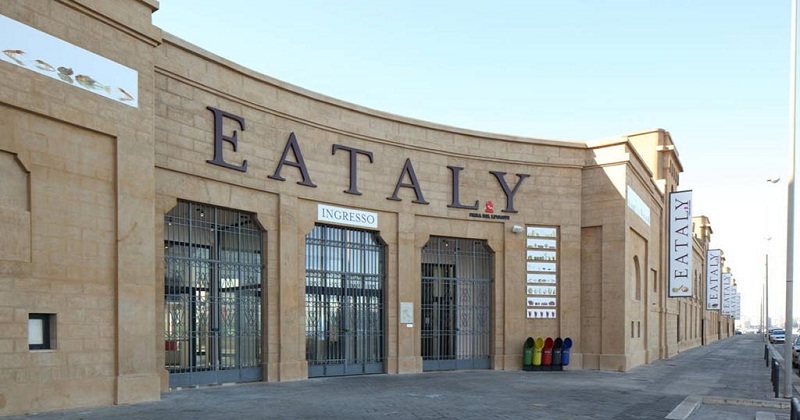 This project aims to be a showcase for producers of food and wine excellence; Eataly wants to communicate the product, the area of provenance and the history of the producer. Tutti this will take place within the “Piazza del Produttore” which will host meetings, laboratories and food and wine events organized with the valuable help of Slow Food. “We are a company rooted for over 15 years” says the President Terrenzio. “We are constantly trying to communicate and synergy with all the major players who play an active role in our territory. Partecipate to the Producers’ Square makes us very proud, in fact we are even more aware that we have embarked the right way and we are increasingly improving to continue to offer fresh and genuine raw materials, traceability and sustainability of our products”. Prima Bio will be present at SANA exhibition in Bologna.